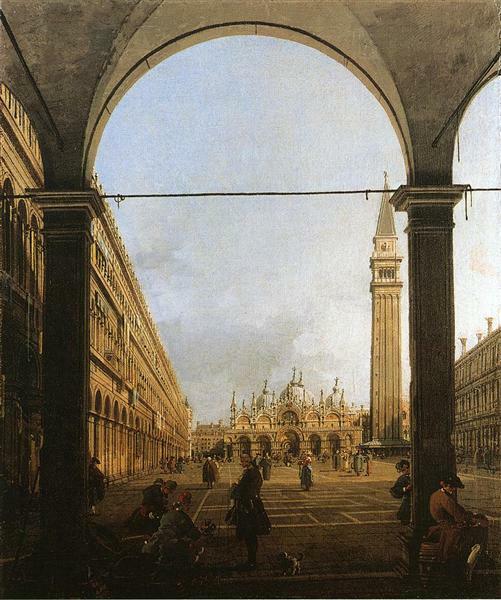 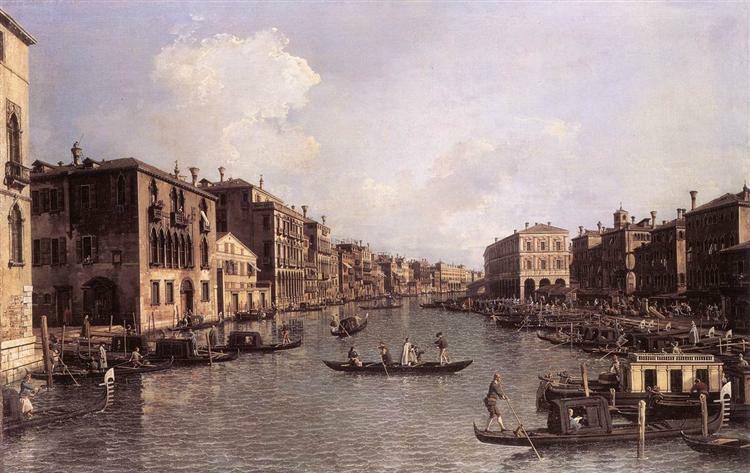 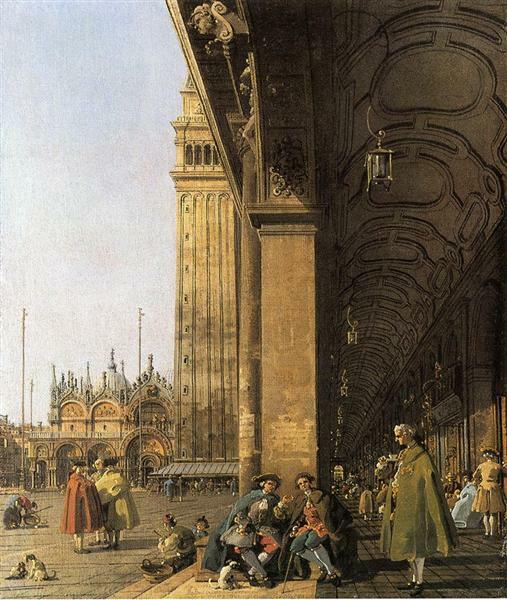 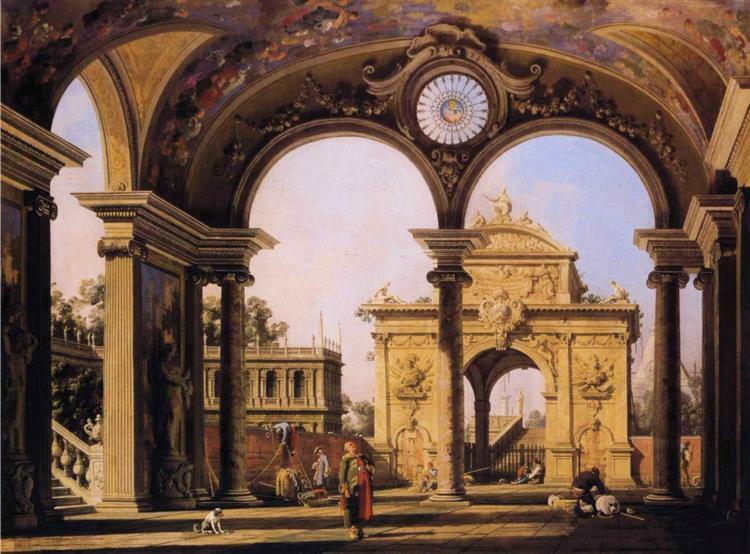 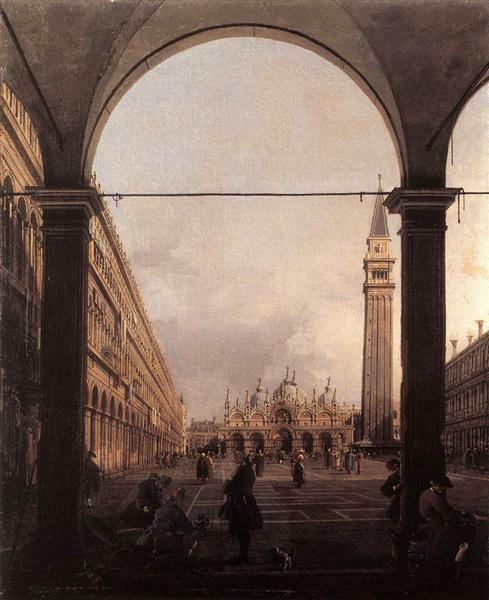 Canaletto was awarded the Perspective Chair at the Venice Fine Arts Academy in 1763, at the age of 66, after a first refusal, in spite of his international renown. 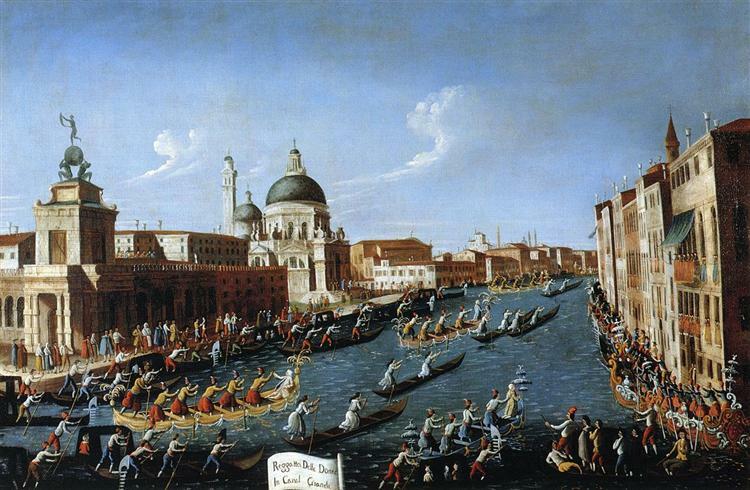 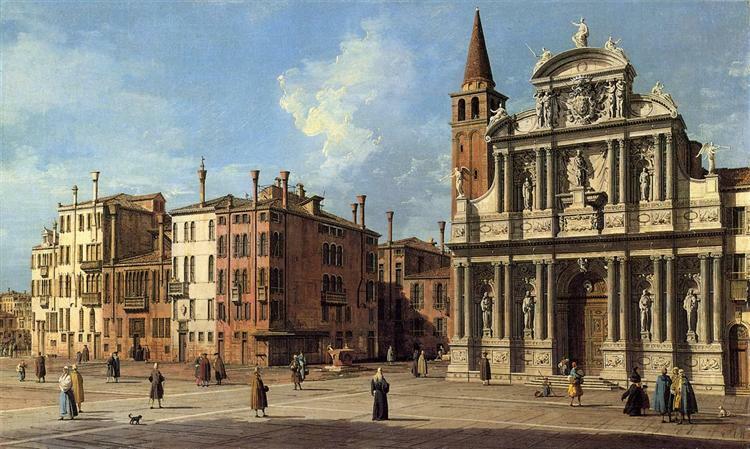 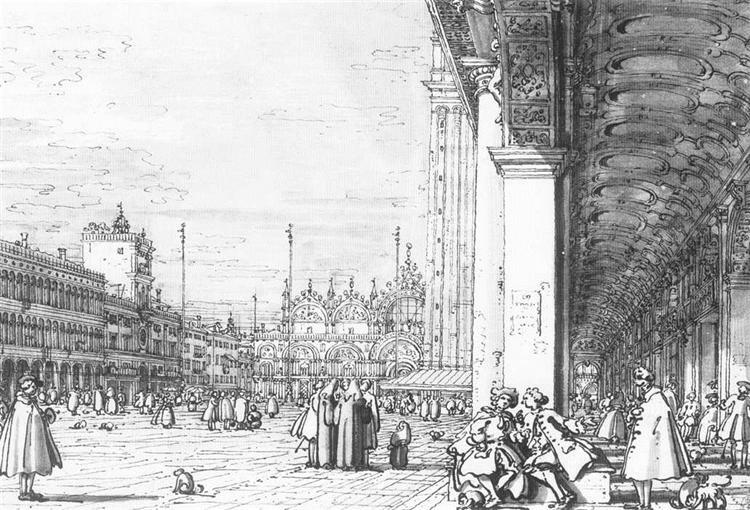 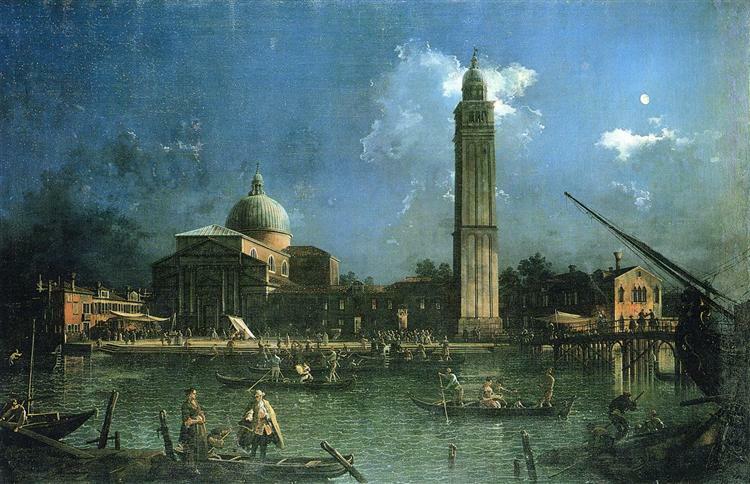 As was the practice, Canaletto had to present the Academy with a work, but surprisingly the greatest vedutista of his day preferred a capriccio to a real view of Venice. 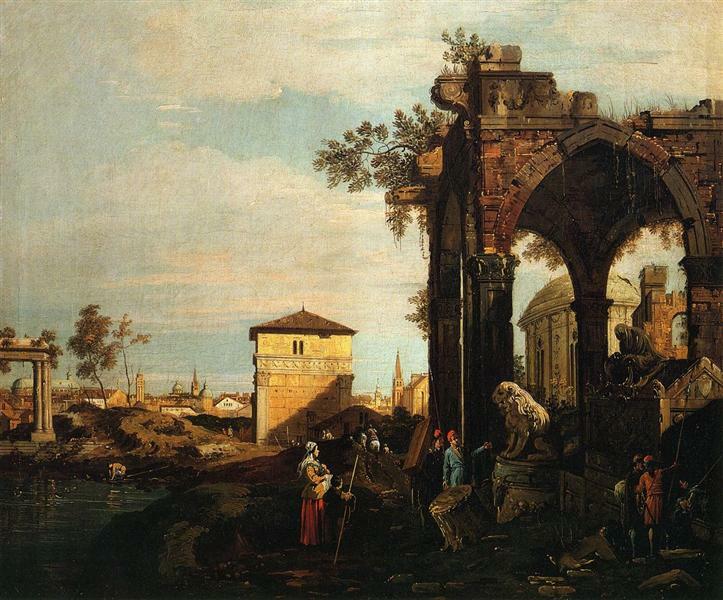 He started the work after his appointment but didn't complete it until two years later. 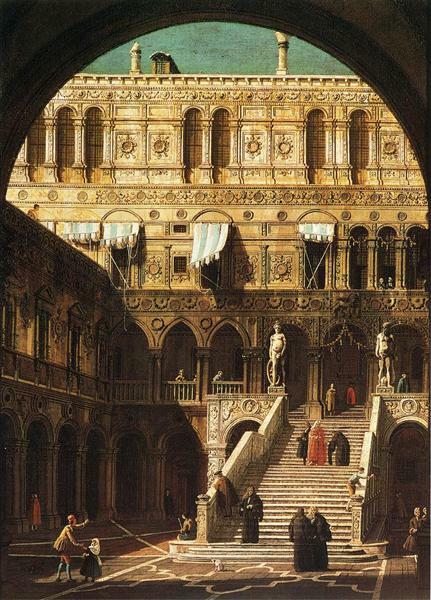 Painted on a preparation of red ochre oil, the chromatic values of which have certainly since changed, "Perspective with a portico" recalls the courtyard and portico of the Ca’ d’Oro, - the house of gold. 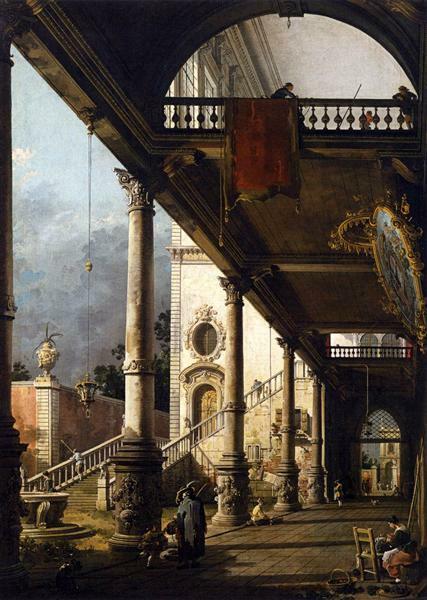 The architectural elements that characterise the famous Venetian palazzo are transformed by the artist and inserted into an imaginary setting. 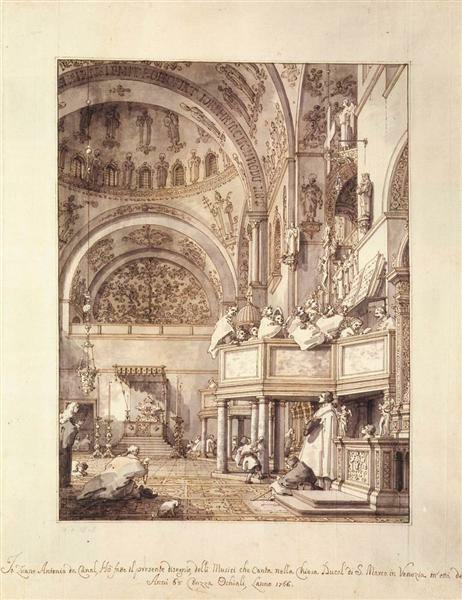 As a bequest, this capriccio met with huge success, proved by the large number of existing replicas, some of which are signed by the hand of the master. 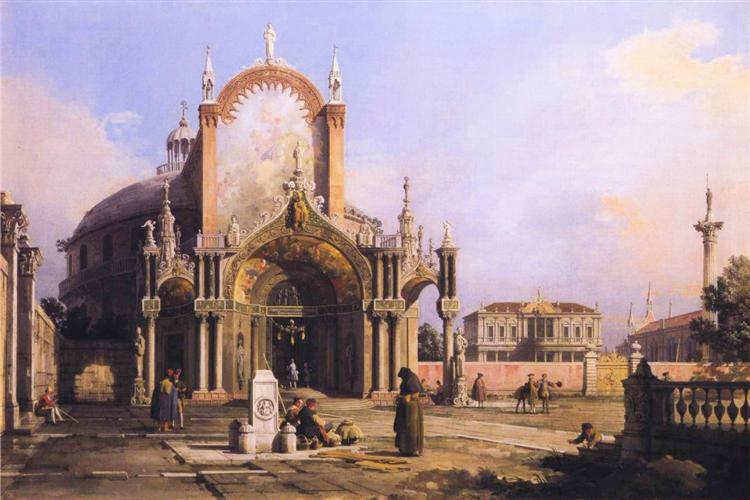 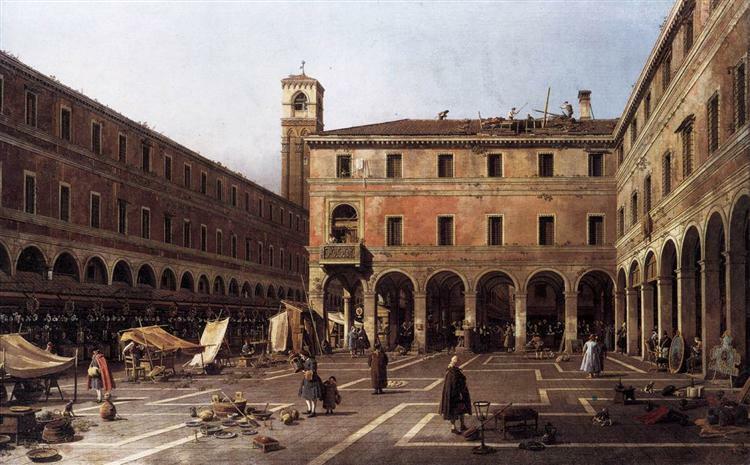 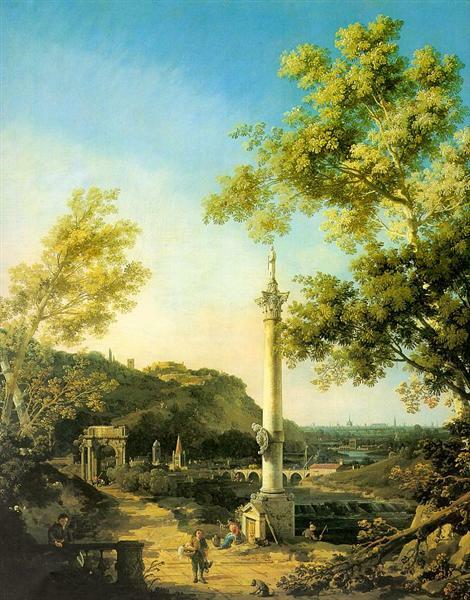 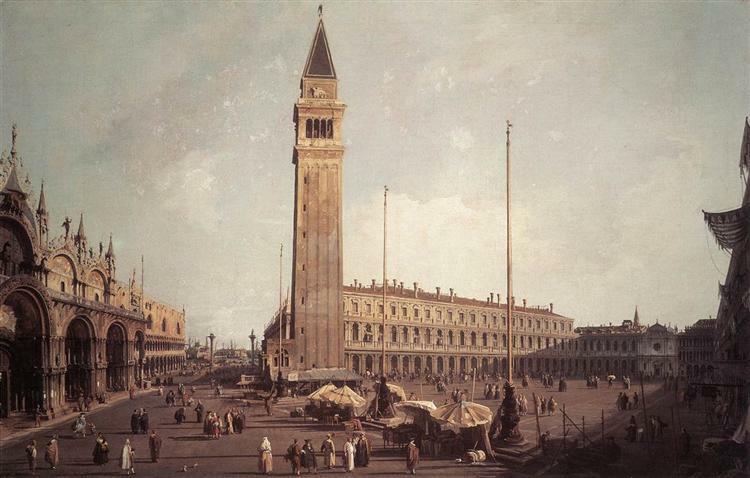 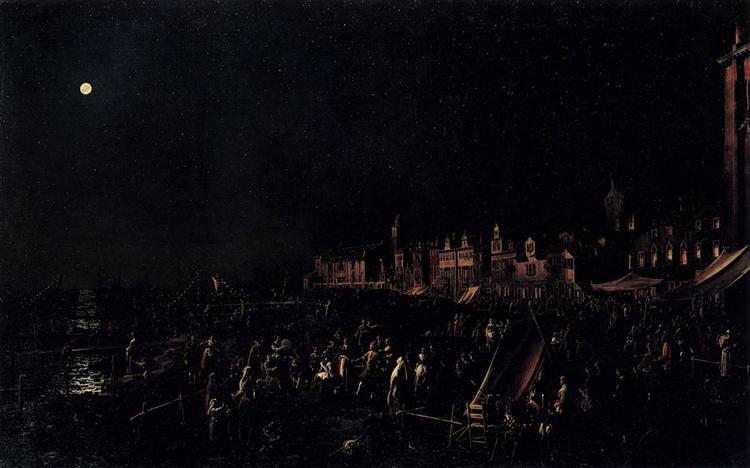 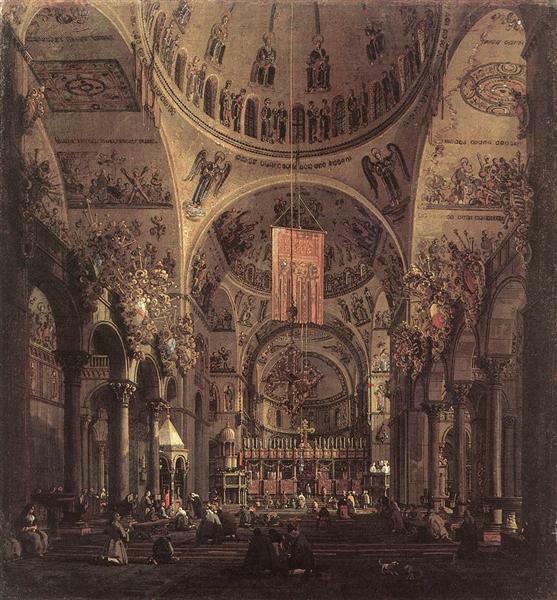 It was exhibited on Saint Mark's Square during the Feast of Ascension "to honour its author" and was admired by numerous fellow artists, including Guardi.